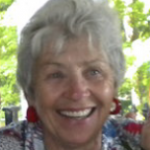 WATERFORD – Della Jean Traficonda, 82 of Waterford entered eternal life on November 29, 2018 at Harford Hospital surrounded by her loving family after a short battle with Acute Myeloid Leukemia. She was born on August 29, 1936 to the late Charles G. and Ruby (Mathis) Way in Newport, Arkansas where she attended local schools. Each year she would miss the first 6 weeks of the school year so she could work out in the fields with her father and brother as her family were share croppers. She enlisted in the US Air Force in 1954. While in the service, she met and married Peter Traficonda on January 15, 1955. They only dated four weeks before they were married and that marriage lasted for 61 years before Peter’s death in 2015. She worked in communications during her time in the Air Force. After their discharge she moved to Waterford to start a family with her husband. Once her children were grown, she worked at Eugene O’Neill Theater for 15 years and Terry Transportation for 10 years. 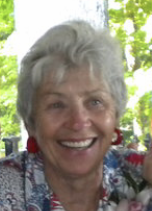 She was a member and co- treasurer of St. Gerardi Mothers Circle for more than 20 years. She always had a smile on her face, loved meeting new people and could strike up a conversation with anyone. She was a passionate gardener and her yard was always abloom with flowers from Spring to Fall. To know her was to love her. She is survived by 4 children, Cheryl Traficonda, Phillip Traficonda, Melissa Burdick Goldman and her husband Scott Goldman as well as Mary and her husband Chris Bachant. 9 grandchildren, Jessica, Jayde, Meloddi, Tiffany, Meghan, Alexandra, Kyle, Olivia and Tyler. 9 great-grandchildren with a 10th on the way. She is also survived by a special brother, Paul Way of Waterford whom she helped raise from the time he was 7 years old due to the loss of their mother as well as a very special cousin Margaret Ray of Newport, Arkansas. Her father remarried after the death of her mother and she is also survived by those five siblings, Charles Way, Linda Street, Brenda Toddy, Della Drummond and Elizabeth Aitkens. She was also predeceased by a grandson Billy Adams and a sister Wanda Treadway. Her family will receive relatives and friends on Sunday from 5:30 pm to 7:30 pm at the Impellitteri-Malia Funeral Home, 84 Montauk Ave. New London. Interment with military honors ,to follow in St. Mary Cemetery. Donations in her memory may be made to the Center for Hospice Care, 229 Duham Street, Norwich, CT 06360 or the Leukemia & Lymphoma Society, P.O. Box 98017, Washington, DC 20090-8017.